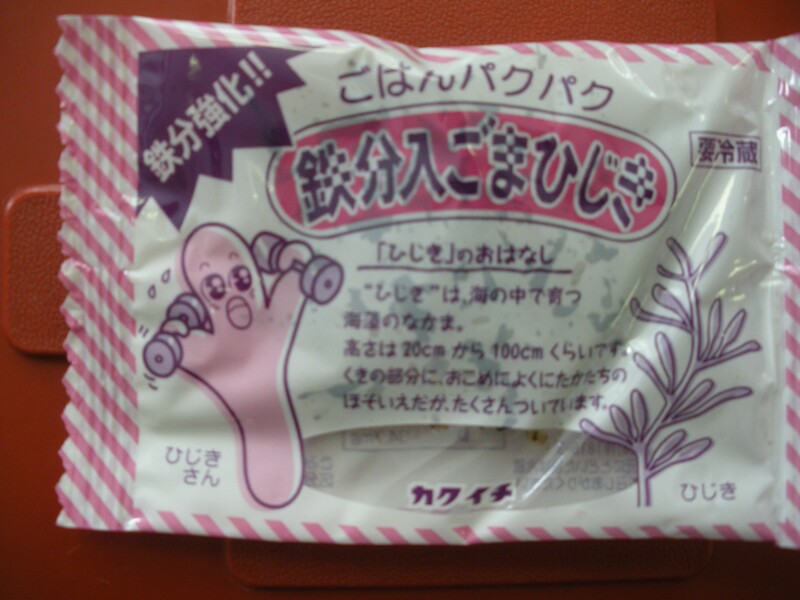 The condition of when someone or something is sought after by many people is said “hippari-dako (stretched octopus)”. This comes from the fact that when making dried octopus, their legs are pulled out in all directions to dry them. I am not sure what was so Japanese about today’s salad, given it was dressed in mayonnaise, but it was full of crab-mayo deliciousness. That said, it wasn’t all that popular with the students. I think a lot of them were put off by the looks of it. Also, students who dislike cucumbers are surprisingly common. 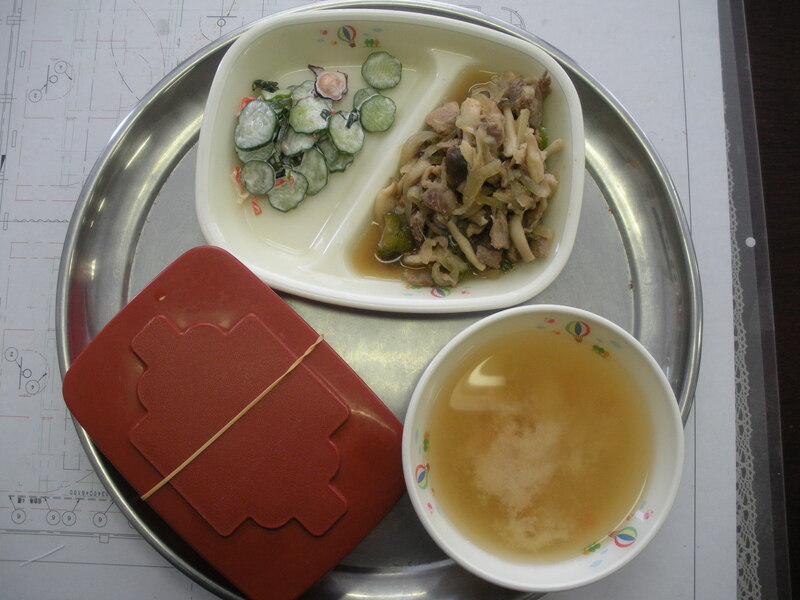 Hijiki is a a food lots of Calcium and Iron, for which we need to build strong bones and prevent anemia. It also has a lot of zinc, which prevents distortion of our sense of taste. Hijiki and atsuage is yummy! Today, I told my students that we call the fish today, “mahimahi” and they thought that was pretty amusing. Like Hawaiian, Japanese has many words made of repeating sounds, but most of them are onomatopoeia, so a word like “mahimahi” sounds a bit strange as a fish’s name. That said, it was tasty. I think this is an interesting quote, because it illustrates that in Moribe’s time, rice and fish were considered the basis of diet, and vegetables were considered more of a delicious addition, like dessert. 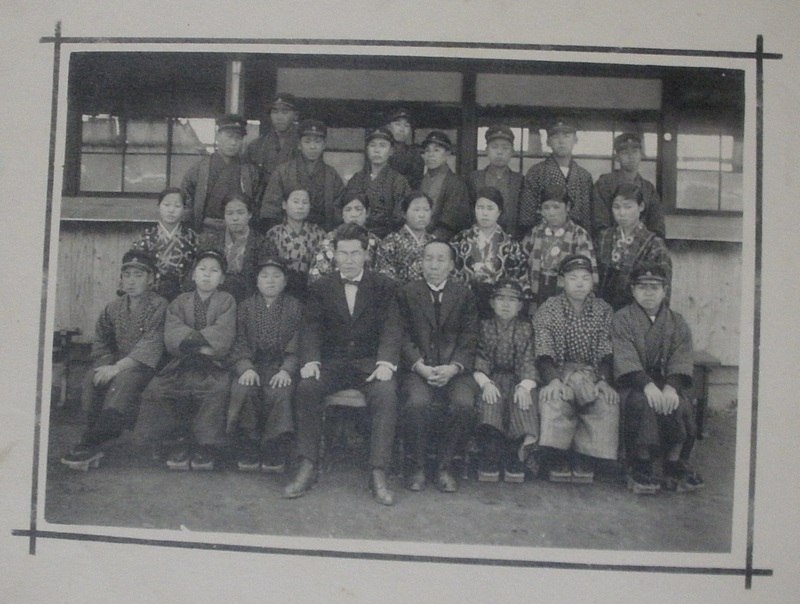 Perhaps that mindset still as influence today, and explains why vegetables are better received by most Japanese children? 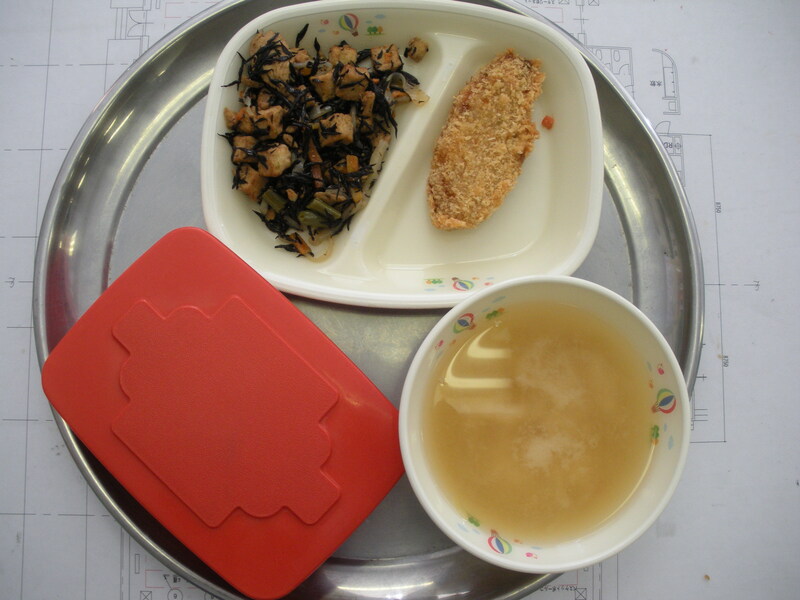 Tofu 「豆腐」 is a food handed down from China. The character fu 「腐」does not mean “rotten” in China, but means “something gathered from a liquid to make something firm out of something soft”. 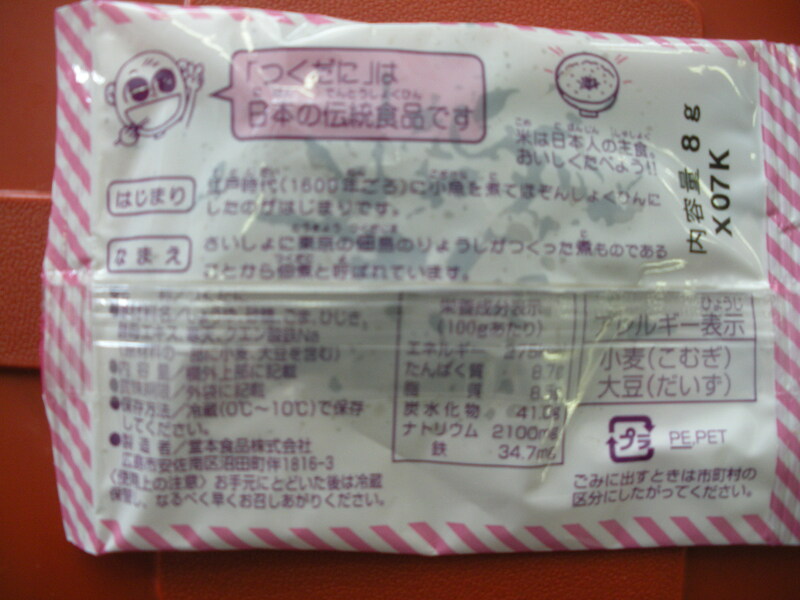 To explain what the kyuushoku tayori means by the above, I should say that 腐 means rotten in modern Japanese, so the characters for tofu seem to literally say “rotten beans”, which does not sound the most appealing. 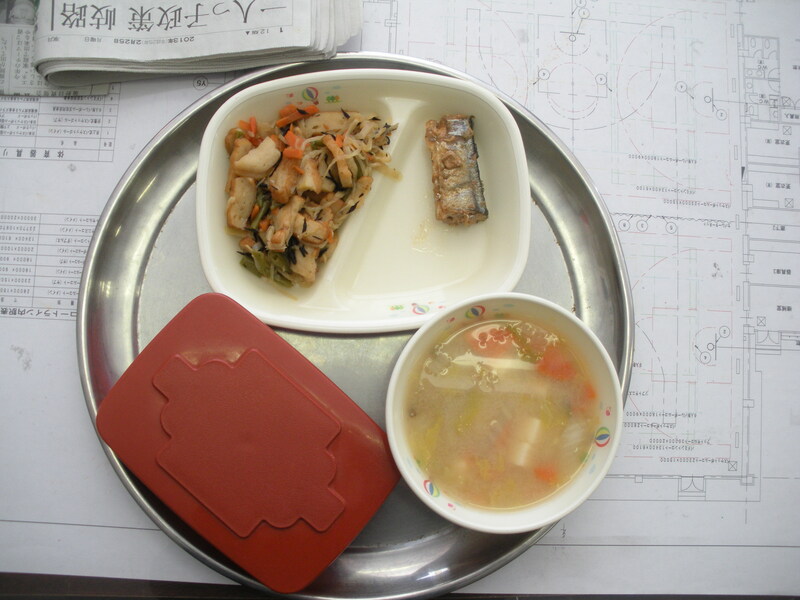 Anyways, the saury fish today is not that beautiful and rather hard to eat, but being plum-simmered gives it a really nice taste. I say this as a very picky eater. So frightening to behold, but delicious. 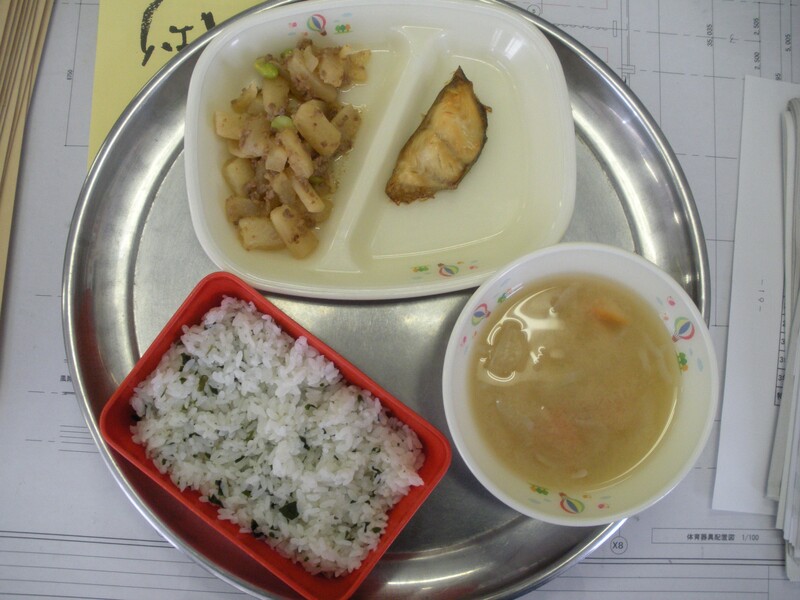 I like hijiki and satsuma-age and konnyaku so much, so I really liked the simmered daikon, but judging from my students plates, the saury was far more popular than the daikon…. Other exciting things today was one of the boys split his entire soup all across his lap and we got to eat ぼっけもんsweets by 風月堂 from Kagoshima prefecture, since the superintendent brought them back as omiyage! I ate it before I could take a picture. I’m sorry. 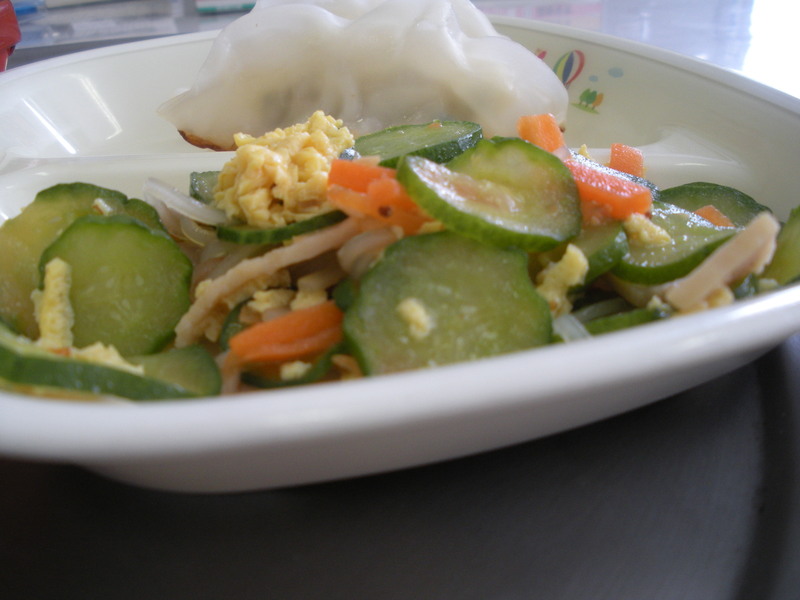 Bansansu is a thinly cut vegetable, ham, and glass noodle salad. 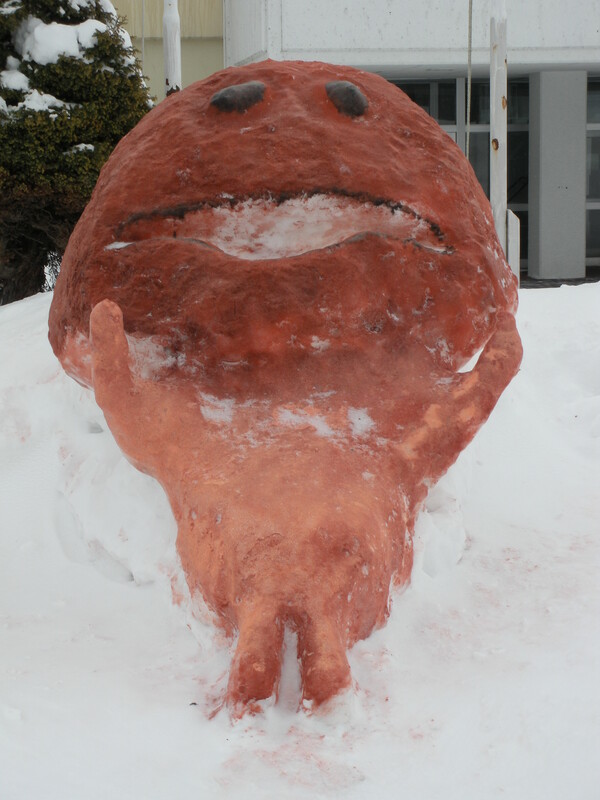 It is dressed in shoyu, vinegar, beet sugar, sesame oil, and mustard paste. It has a Chinese taste. 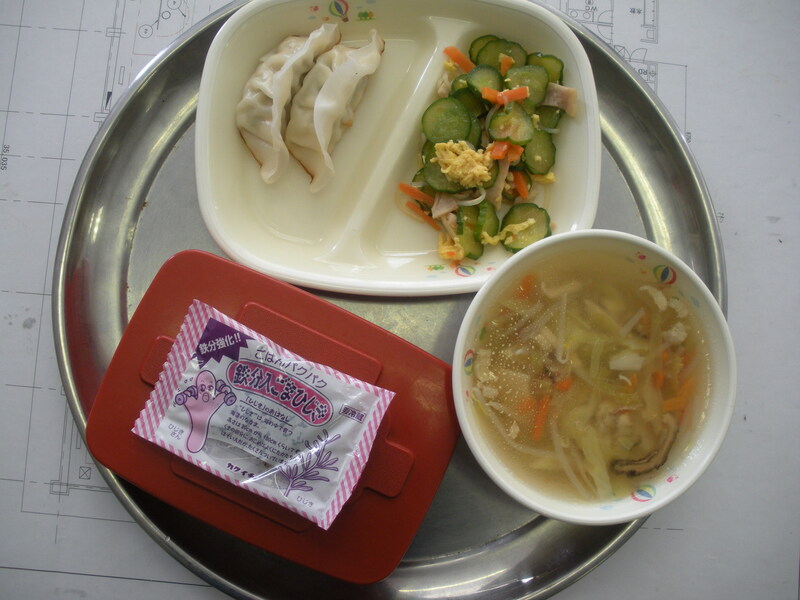 So today’s lunch is obviously a Chinese style lunch. 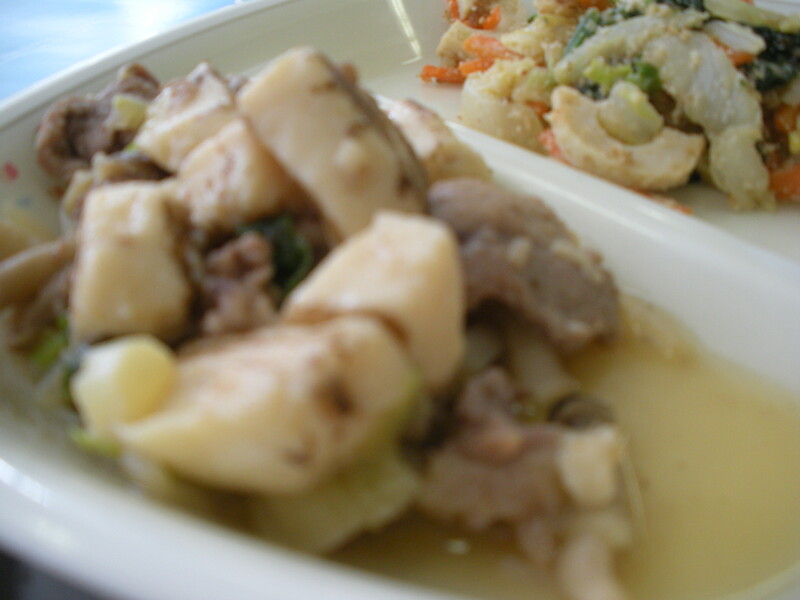 I tried looking up what Chinese dish “bansansu” originally comes from, but I didn’t easily find an answer. 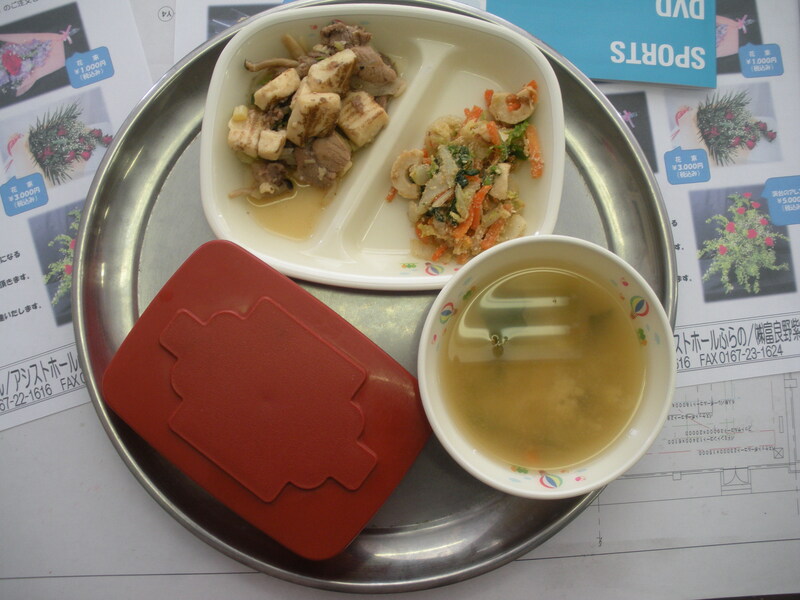 One of the first results though was a recipe for “school lunch basansu“, which the writer recreated from her memories of the bansansu she enjoyed eating in school lunch. 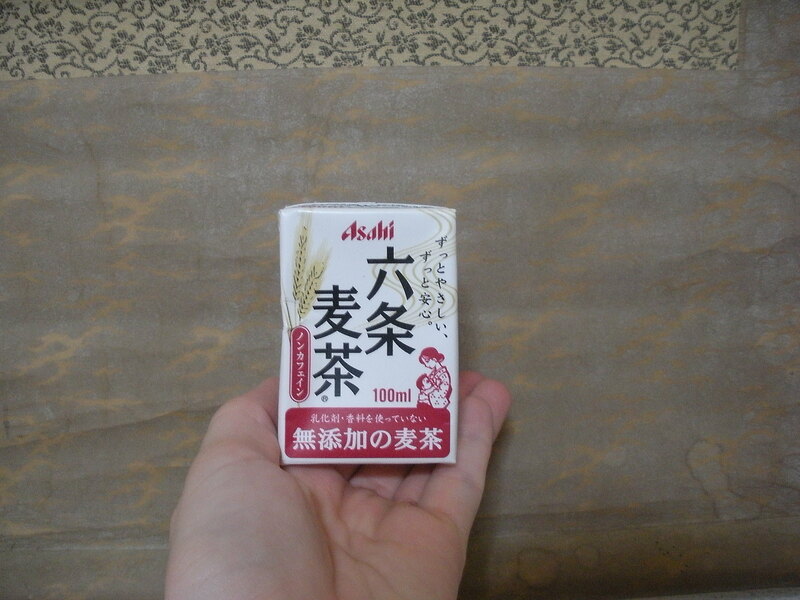 I also found the blog of an elementary school which explained that the word “bansansu” comes from Chinese and means three ingredients (“san”) cut finely (“su”) and mixed together (“su”). 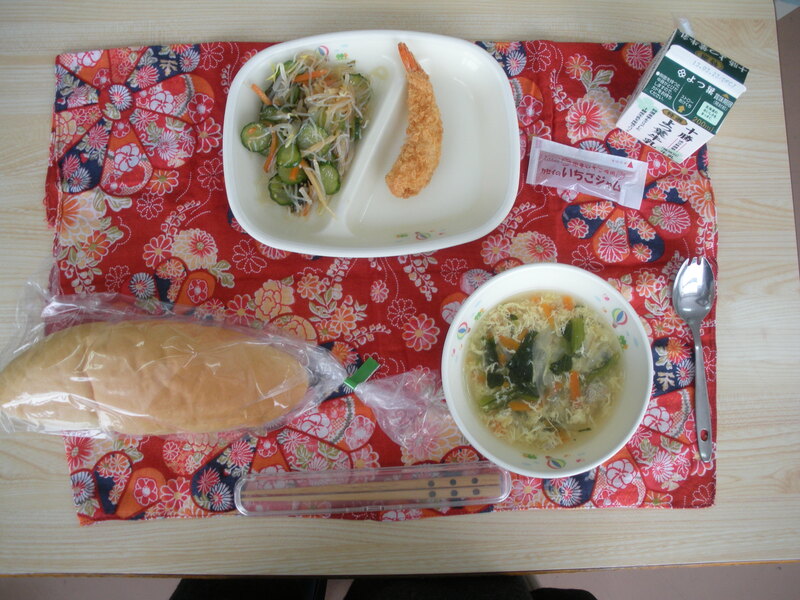 Higashi Miyagino Elementary School’s Bansansu Lunch! The spiciness of daikon changes depending on how it is cut up. If eaten sliced into sticks, it is sweet, but if grated, it is spicy, due to the effect of breaking the spiciness cell things. 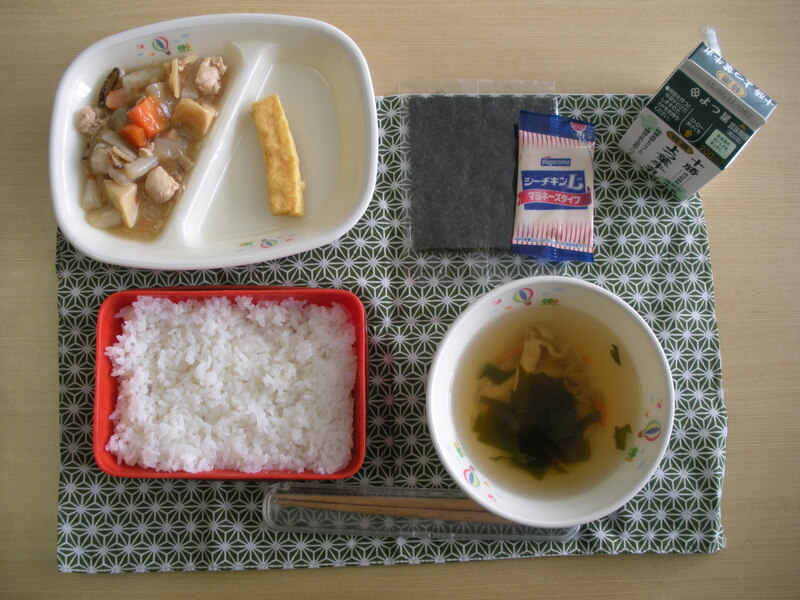 Today’s Pork and Tofu brings up a slight but interesting difference between Japanese and Western culture. 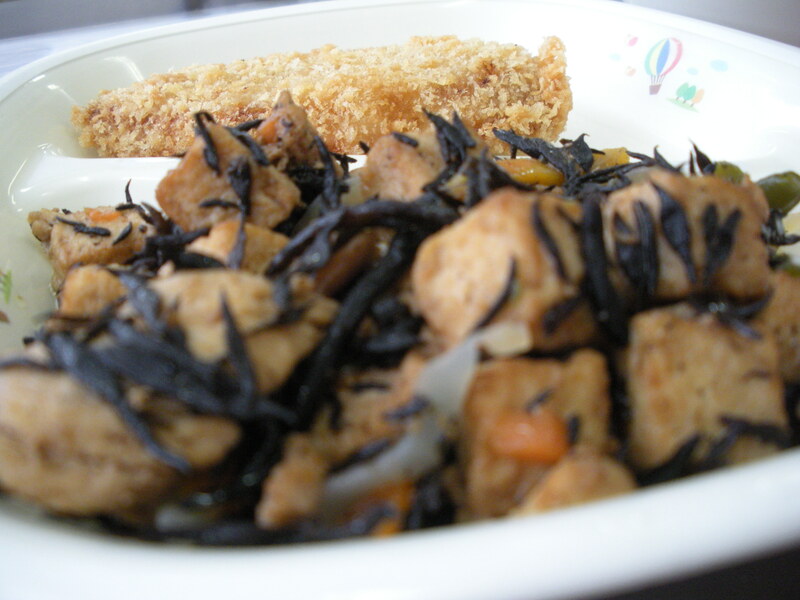 In the West, tofu is largely thought of as vegetarian health food, eaten not for its own sake, but as a meat substitute. 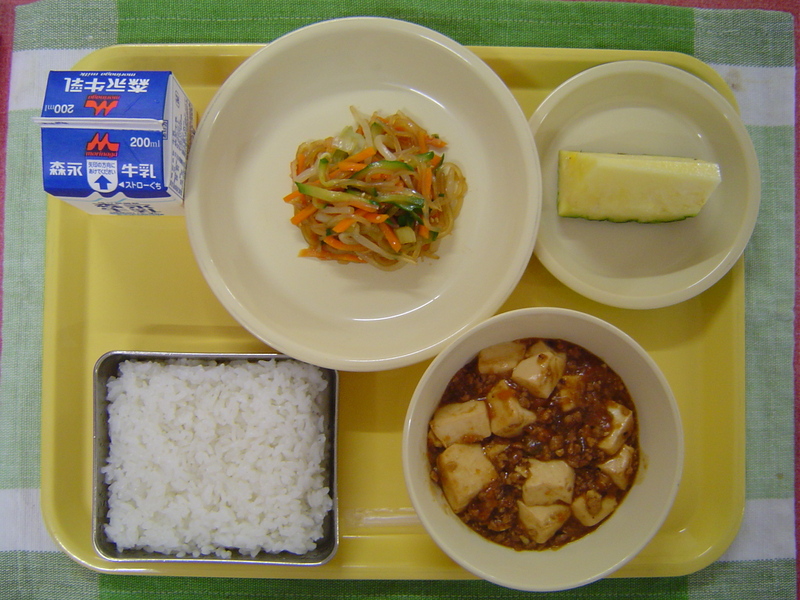 Therefore, to have tofu and meat in the same dish seems a little strange to Americans and other Westerners I think. But in Japan tofu is of course its own food with all of its own characteristics, so adding it into a meat dish is quite natural. 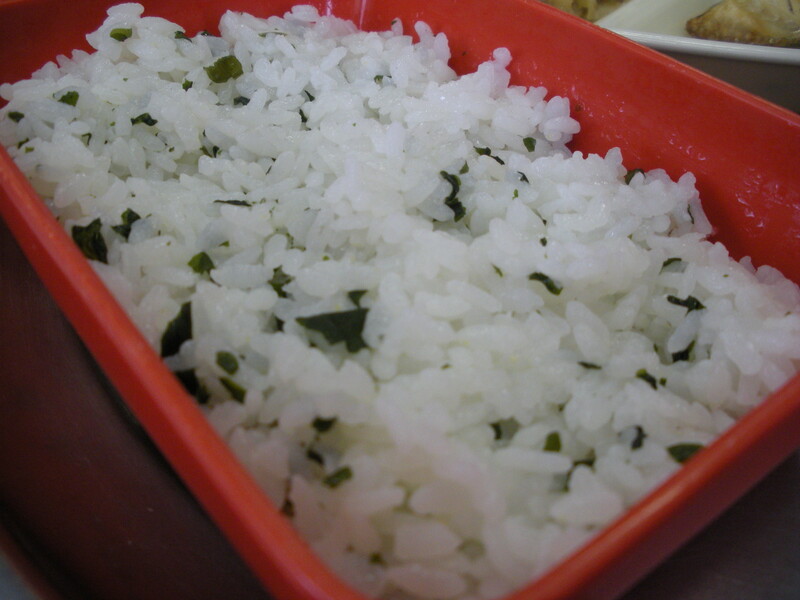 Surimi (ie: imitation crab) is another Japanese food which has a similar reputation. 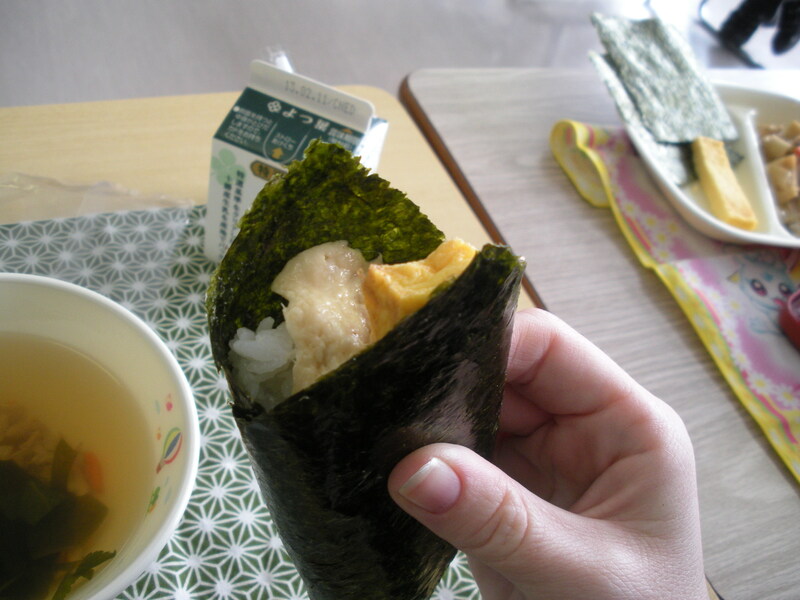 Surimi is used in all sorts of dishes (yah for snack chikuwa!) but in the West it is almost entirely known as a crab imitation. Anyway, I liked today’s vegetables too. They had a very healthy and delicious taste to them. As their name implies they were dressed in ground sesame: not a mayonnaise-sesame salad dressing, but just sesame. This was nice because while mayonnaise immediately has an appealing taste, it leaves a yucky feeling in the mouth after eating it. Today, I have a cold. But at least it’s not influenza. So many students were absent from my class today, that the remaining students couldn’t eat all the meatballs, despite having seconds. The other thing interesting today at lunch was the student across from me forgot his chopsticks. 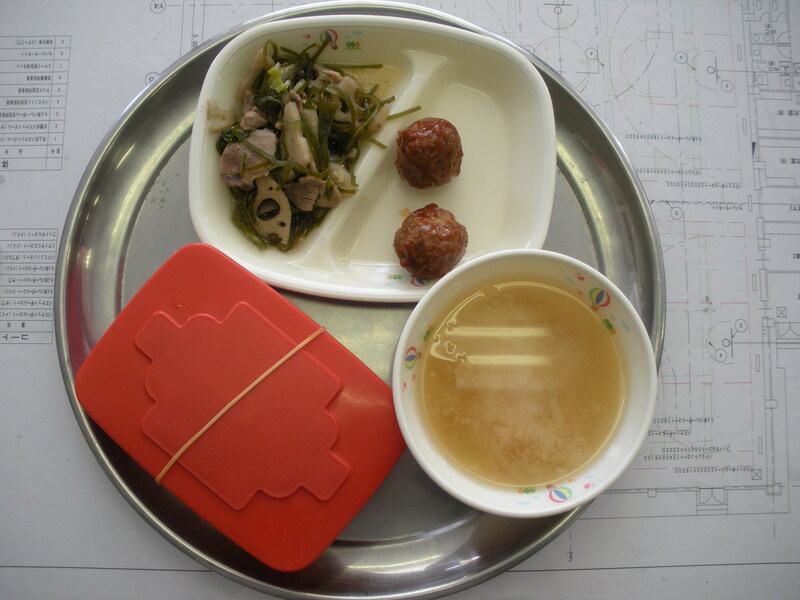 Instead of borrowing from the teacher, he decided obtain two of the milk straws and ate his entire lunch with them. It was amusing, but he succeeded in completely cleaning his plate.